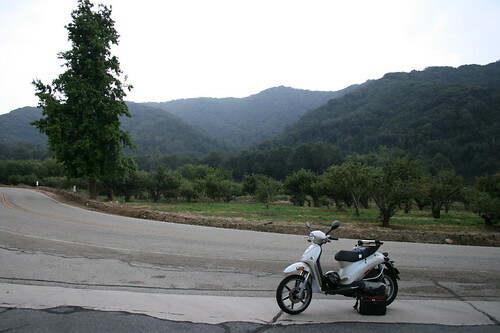 I'm simply enjoying an afternoon scooter ride / photo shoot through the mountains when, off in the distance I hear the gurgling of gentle, yet powerful, rolling thunder. I was simultaneously hit with the smell of rain with a force similar to a tennis player's return of a serve (minus the grunting). My thin, light blue T-shirt suddenly feels inadequate. 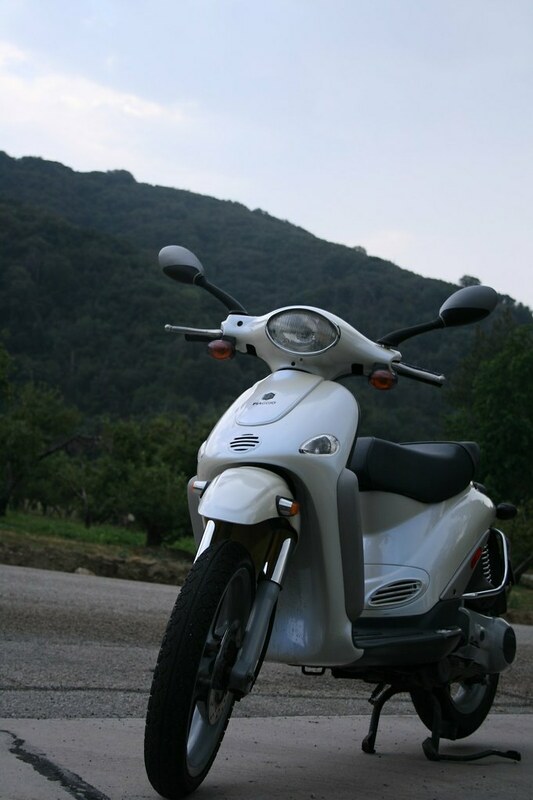 My new scooter's lack of roof, for the first time, became inconvenient. I was only 10 or 15 minutes up the hill from the house, but it may as well have been an hour. As I re-mounted the scooter and rode the drops began to fall lightly and I thought - this could be great; a little relief from the mid 90's to low 100's degree weather... but then the good Lord released the flood. I pictured Noah for a moment, scrambling to get the last animal into the ark as the rain began, knowing the flood had just begun. I experienced what Noah experienced... minus the animals and boat and world devastation - but add a scooter. I had no idea how painful rain is. Next time you're driving 65mph in the rain, stick your head out the window - or even just your arm. A thousand wet bee stings may be a good analogy. 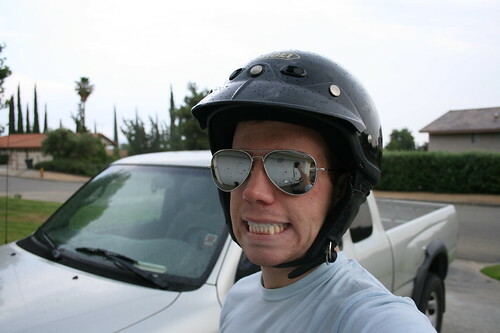 Add to my bee stings smudgy aviators, traffic, and winding roads. My life has never had the chance to flash before my eyes - but it was tempted today. To my surprise, I managed my way back to the house and praised the Lord for sparing me. All in all, my afternoon ride turned out to be awesome! 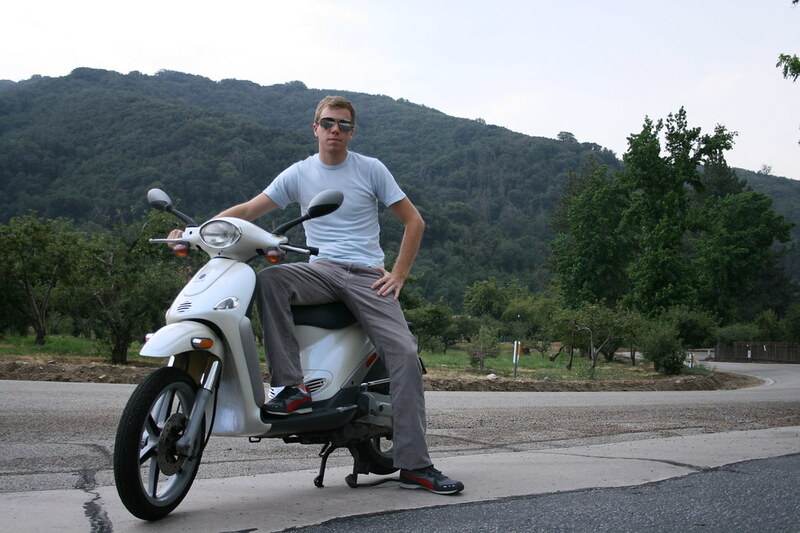 My adventurous ride yielded some great pictures and added one great story to my arsenal of life-experiences. 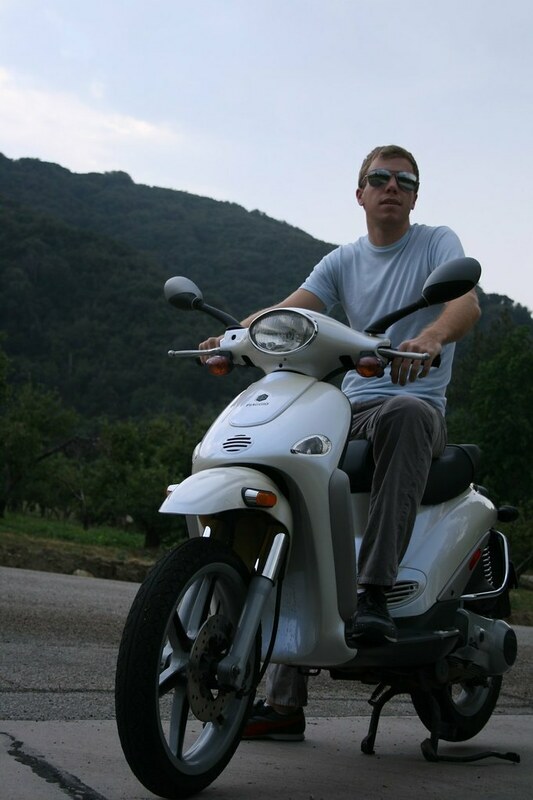 Hopefully Piaggio takes notice of my scooter modeling skills so I can pick up a few extra bucks modeling. 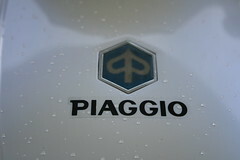 By the way, Piaggio is the company that makes Vespa. 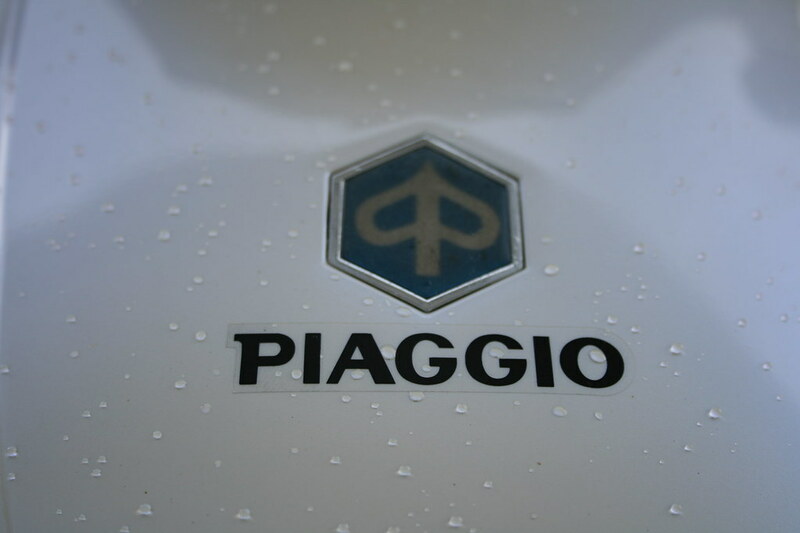 It's sort of like Toyota - Scion, only with less distinction. I might also mention here that I may perhaps have slightly over-exaggerated the above storm. That last picture is quite impressive, have you been working out? nerdy. all of it. but good pix. sweet ride....i am REALLY jealous right now. Oh, my! I got caught in a torrential downpour on the scooter for the first time two weeks ago and can totally sympathize with those "bee stings." The guy in front of me was going the legal limit and braking if he went a mile per hour over, and the guy behind me was hot on my tail so I couldn't have pulled over safely if I'd wanted to - and I wanted to! The next time there's even a remote threat of rain I'm leaving the "derby" at home and wearing the helmet with the visor! The fly 150 is the new version of this one. They stopped making the LT 150 and started the fly... so yes and no. In 2008 they started making the fly 150 in China instead of Italy, so if you want an 'italian purebred' go with 2007 or earlier. I'm loving it so far - totally recommend scooters to everyone.